My Primary camera, Sony DSC H50 [review] has been serving me well for over 2.5 years and has now gone for repair. I had accidentally dropped it off on a rock near Cheluvara waterfalls in Coorg during October 2010. Its LCD unit was broken and managed another 3 months using just the viewfinder, but during last week’s Photowalk in Bangalore, even view finder stopped working. Only the camera part is working but I can’t see what it is clicking. Expecting a bill of 4-5k. There’s a heavy temptation to buy an DSLR in the budget of 30-40k, but I’m repeatedly put off by factors like its weight, the necessity for an entire bag for camera itself, ever increasing spend on lens, not having an ROI and risk of damage and theft. Still inclined towards superzoom digicams. Let me see how 2011 turns out. As you might know, had made some investment in Microfinance Company, RangDe [Details here and here]. Due to recent debacle in Andhra Pradesh [details], RangDe has now asked me to write off the investment made in borrowers from Andhra Pradesh. That’s 2000 Rs down the drain. The investment was more for a social cause than any profits, but would have been nice to recover the principal at least. If the borrowers really benefited from it I won’t mind, but if they misused it for purposes other than what it was issued for, or not repaying just because political scenario is favouring them is not fair. Writing off the amount like this is equivalent to charity. I understand the DSLR apprehensions. I am every day drooling after 10-20mm and 150-500mm lens. And then there are prime lens too! But I will still say buy it. 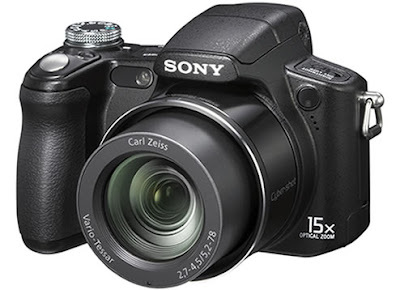 Did you check out the latest from Sony NEX-5 and NEX-3 ? I do not own though.. If you are interested in photography, then an SLR has its own advantages irrespective of some trouble you will have to take. If you are looking for ROI, then forget it, unless you are a photographer by profession. Sorry about the loss in MF. More so because it has not been used for a good cause. I would not call it charity if it was not used for the right purposes. I might just bite the bullet this year... let me see. 1. The only reason I have not gone for DSLR is that it needs a huge bag to lug around the camera, lens and other accessories. Just not my travel style. I prefer a small inconspicuous camera that is easy to carry, does not attract attention or tempt thieves. My suggestion is that you get a good wrist/neck strap to secure the new camera. 2. Microloans will fail unless the borrower is given training that teaches her/him marketing, quality mgmt,customer service etc. Just giving money to halli guggus will not solve poverty. SKS and RangDe will have to consider not just profit margins but also the social responsibility that is involved with giving loans to uneducated and untrained people. Illa andre vond paisa nu vaapas sigalla. Nimm loan nung bittu , TV no Fridge-o kond kondu majaa madtha irthare yaaro annaavru. Microloans and for profit entities are just not a good combination. Lending should be considered only for women with good products, ideas or work ethic. Alva? I knew founders of Rangde and they'd a very good system in place to select their partners and distribute loans..